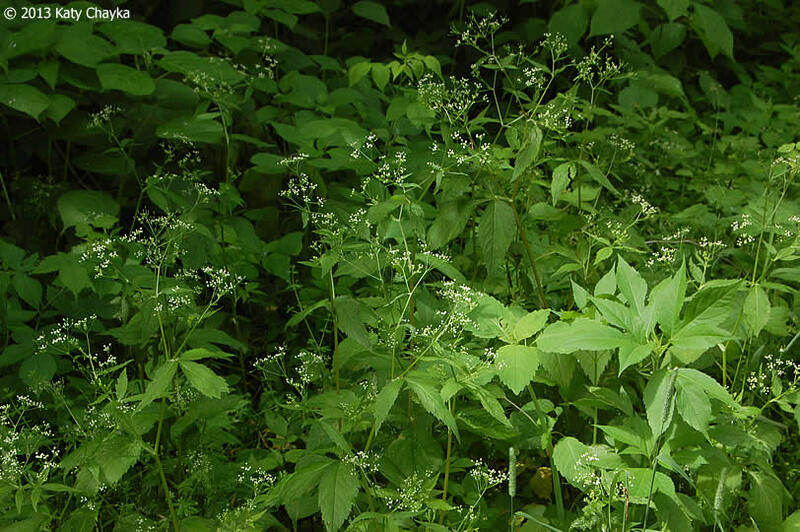 Cryptotaenia canadensis (honewort) plants. © 2013 Katy Chayka. Minnesota Wildflowers. minnesotawildflowers.info (Accessed 2/2018). Cryptotaenia canadensis is a perennial herb to 1 m tall; roots associated with VA mycorrhizas (Brundrett and Kendrick 1988); stem hairless, shiny, unbranched below inflorescence. 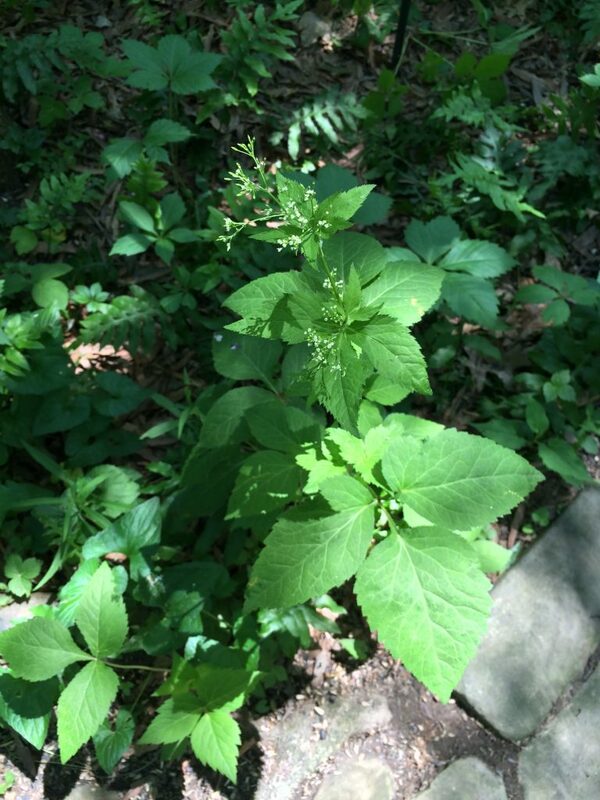 Leaves alternate, 3-parted, coarsely, irregularly toothed, often lobed as well, petiole expanded, leaflets 4-15 cm long, lower leaves long-stalked, the upper on short, dilated stalks. Cryptotaenia canadensis flowers close-up. 2003 © Peter M. Dziuk. Minnesota Wildflowers. minnesotawildflowers.info (Accessed 2/2018). 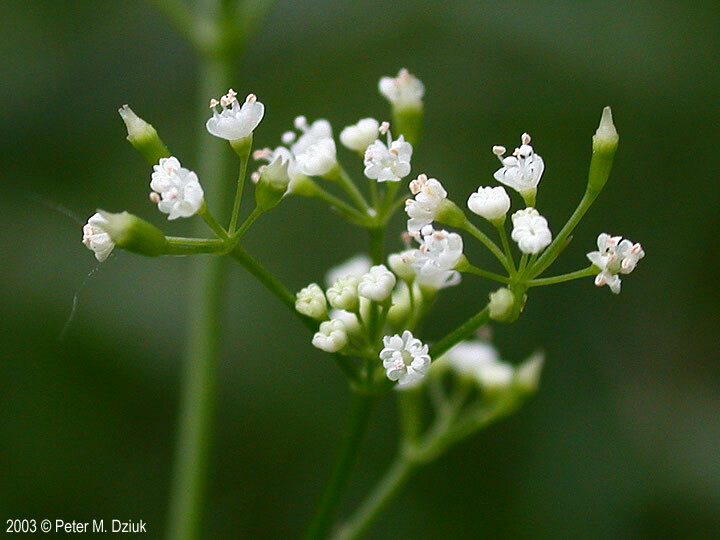 Flowers white, radially symmetrical, very small; inflorescence of small irregular compound umbels with 2-7 very unequal, ascending rays, 1-5 cm; blooms June-July. 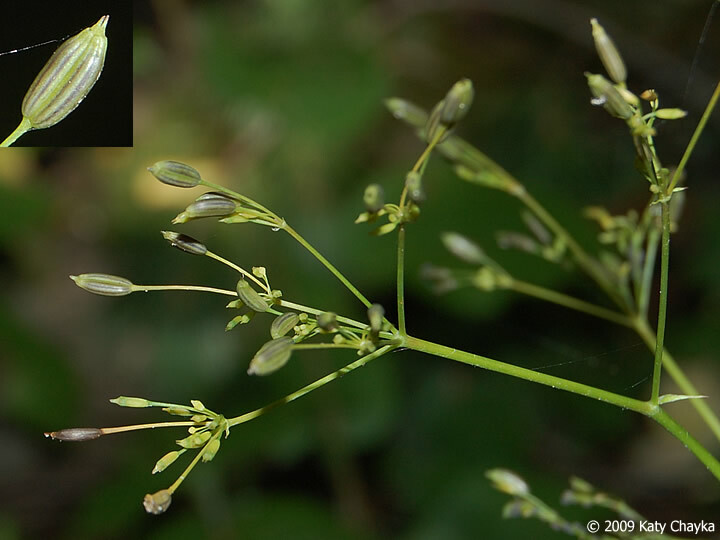 Fruit dry, one-seeded to 0.8 cm, oblong, striped black and dark gray, laterally flattened. Habitat: Moist to wet, rich woods. Appears quite shade tolerant (Gargiullo personal observation).